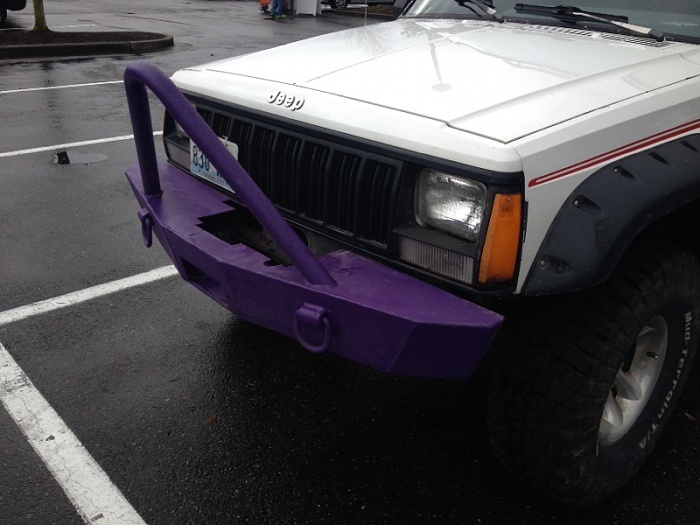 Prerunner style front bumper for a 00 XJ Sport. If anyone knows any good local places that fab in the Seattle area, I'd appreciate it. I like used as well. It doesn't need to be painted. I'm just gonna rattle can it with Dupi-Color anyway. I'm good with used as well. I was gonna order one from JCR Offorad in MI. as I have had their stuff on my old TJ and liked it. But, it's real expensive. Thanks wanagojeep, I greatly appreciate the offer. I received my JCR Pre-Runner front bumper this week. I have some POR-15 waiting to be painted on it, followed by Dupicolor Truck Bed Coating. I figure, that way if it get's scratched, I can just spray it to touch it up and be done with it. 96 Cherokee Disconnect and Brake Line ?